We are all powerfully creative and are constantly weaving our reality, whether we are conscious of this fact or not! Creativity in this context means to bring an idea, dream or thought into our reality and make it real. Creativity is an aspect of Manifestation. Our thoughts are so powerfully creative, but our feelings are even more so. (In fact they are 100s of times more powerfully creative than our thoughts because of the energy that they hold). Whether these thoughts and feelings are positive or negative, they shape our reality and define who we are. 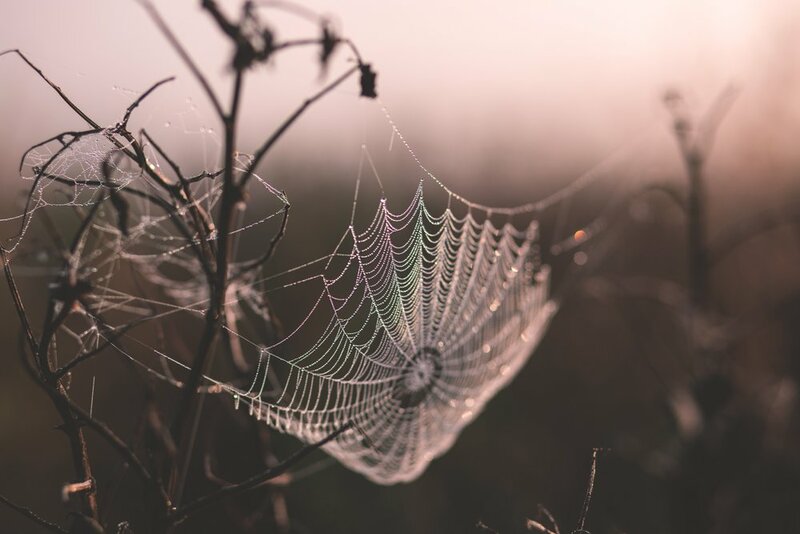 …I feel that at some level, we must know that our words, actions, intent, thoughts and feelings create a ripple effect throughout our reality – much like a spider on it’s web. This is an empowering and rather scary thought! Although we are responsible in some part for creating our reality – it also means that we can take our power back, harness our thoughts and feelings and even heal our bodies, minds and souls. No more excuses for negative projection! When we understand how we create our own reality through our thoughts and feelings, awareness of our emotions at any given time, is crucial. As much as we enjoy a good moan about others, we no longer have the luxury of blaming others for our present circumstances, when we know that we are the creators of our own reality! If unchecked, negativity of any kind causes blockages in our natural flow of energy and over a period of time, stagnation will settle in, stopping our natural flow of manifestation. Our frequency and vibration can lower and this lower vibration attracts more negative, denser thoughts, feelings, circumstances, and even people, to us. We start to control these situations, circumstances and other people in our lives through fear, perhaps building up self-defence mechanisms. Illusion starts to develop. This becomes a hard cycle for us to break and it becomes even harder to look for optimal solutions to our tricky or difficult circumstances! It also means that our good old ego has completely taken control of our consciousness through fear and is in the driving seat once again. How can we weave a positive reality for ourselves? Reconnecting to our inner world as much as possible is key. We need to be aware of our thoughts and feelings, take ownership of them, not blame others for our difficult circumstances and surrender and let go of the forces of destiny in our lives as much as possible. Watch and download our FREE resources here, to help you reconnect to your inner world and let go of negativity.